Be recognized as having the skills and education in the merit badge subjects covered and hold any required qualifications and training as outlined in the Guide to Safe Scouting or the Guide to Advancement—or use others so qualified. Supply your qualification of why you’re able to teach each badge, uploading necessary certificates or documentation showing your credentials. 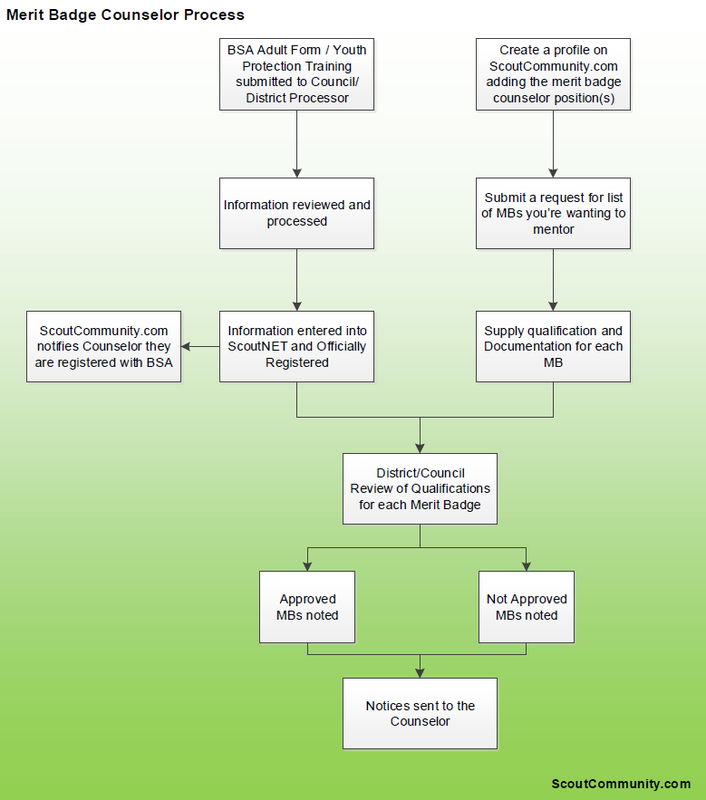 Wait to receive email notification for both your BSA registration confirmation and approvals for each merit badge you requested to teach. Below is a short video that will show you how to setup up your profile within ScoutCommunity.com and select the merit badges you wish to mentor.